Since 1988, Camp Emeth has provided a structured and innovative day camp experience for Jewish children in the St. Louis community. Located on the grounds of Congregation Shaare Emeth, the camp makes full use of the Congregation’s 22 acres, as well as its extensive indoor and outdoor facilities. At Camp Emeth, campers entering kindergarten through 8th grade have the opportunity to learn new skills, make new friends, enjoy traditional camp activities, such as sports, arts and crafts and music. Campers also have the opportunity to choose their weekly afternoon activities, during chuggim, when they can choose from a wide range of activities such as dance, team sports, art, cooking, gaga, and more. Camp Emeth recognizes that campers have all different types of needs. We strive to meet every camper where they are with the support they need to ensure a successful camp experience. 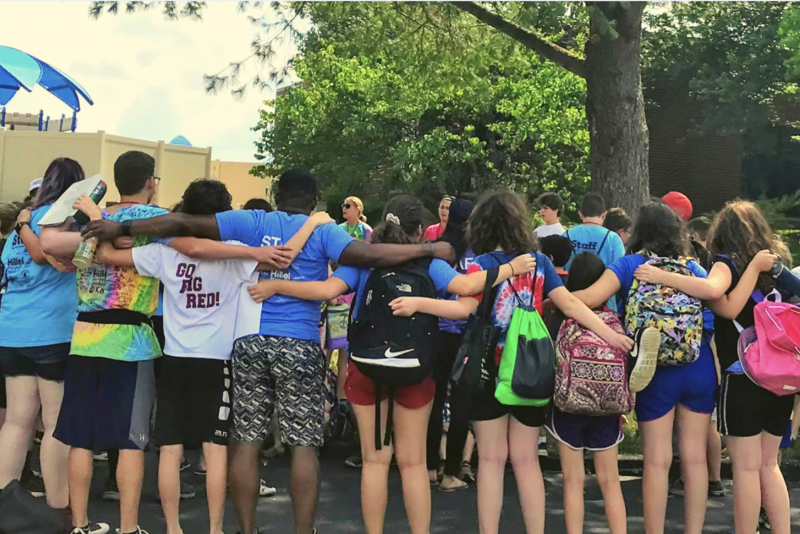 Our goal is to provide a safe, nurturing camp environment where children can learn about their world, discover their own strengths and feel connected to our community in the context of Reform Judaism. Camp Emeth is ACA (American Camp Association) accredited. The ACA Accreditation process is a voluntary commitment by camps to the highest standards of health, safety, and program quality. Camp Emeth runs for a total of 8 weeks with flexible weekly registration options. Hours are from 9:00 a.m. to 3:30 p.m. Monday through Friday. Pre and Post Care are offered as well. A daily snack is provided, but children are required to bring a sack lunch and drink from home.